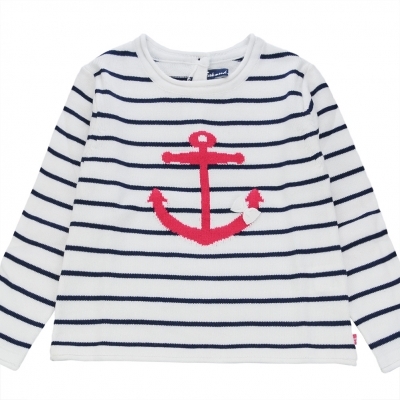 Navy-striped white sweater, with long sleeves, for girl. Made in an ultra-soft and supple cotton, this nautical sweater will greatly appeal to your little princess ! 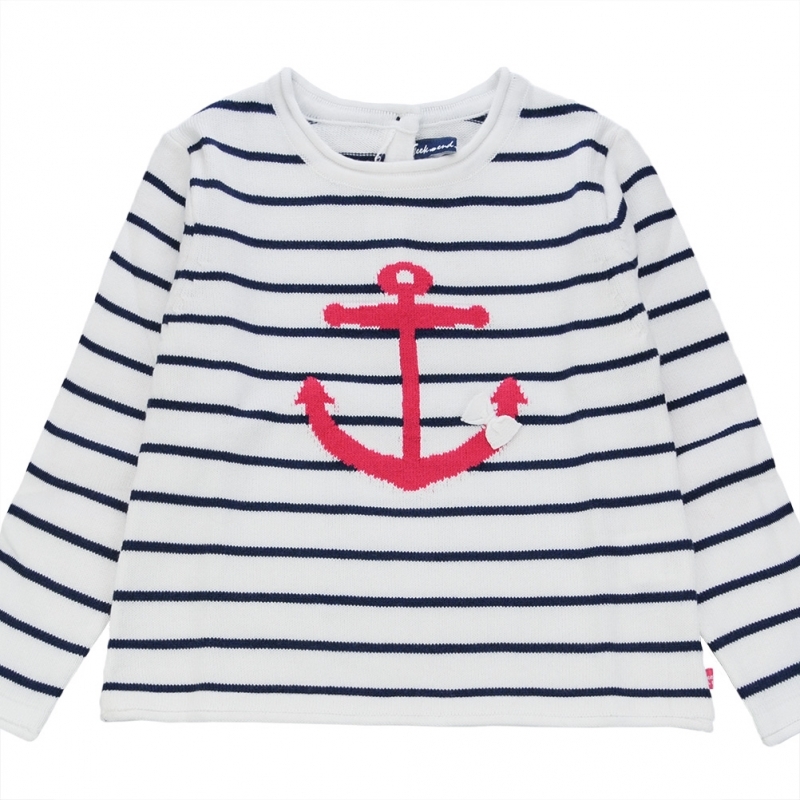 We note its superb intarsia details : its fushia anchor on the chest, enhanced by a lovely bow, and its elbow pads, that bring a very fashion look to the model !